Description This wall desk can be used as a shelf, console or secretary desk. MDF and oak or walnut veneer, MDF with lacquer, leather pulls, brass runners. Matt finish. Small drawers available in : slate grey, apricot pink, celadon green, petrol blue. Large drawer available in : light grey, slate grey, white, brushed brass finishing. 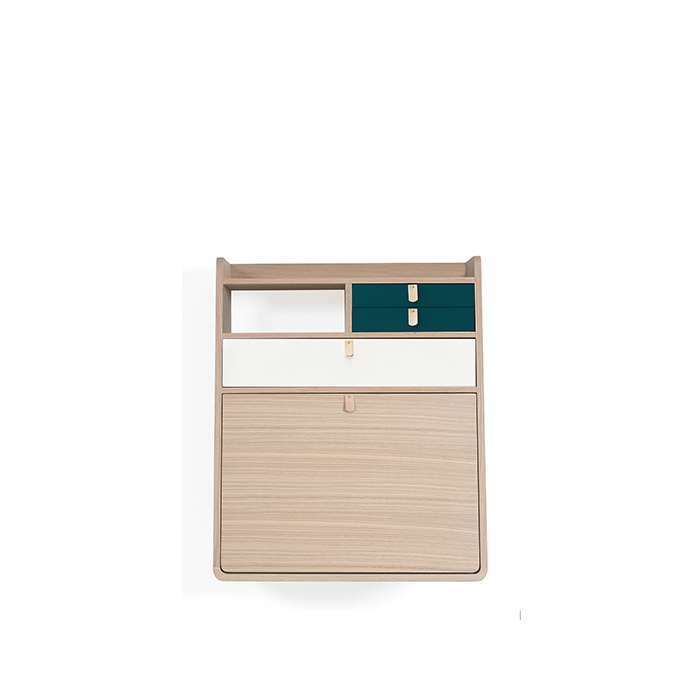 HARTÔ is a design brand, from France, which love furniture and objects that are practical. They believe that interiors should adapt seamlessly to our lifestyle, every day. HARTÔ focuses creativity on merging the practical aspects of everyday living while adding that special finishing and functional touch that catches the eye. Dimensions Size W1000 or 1200*D650*H750 mm Product Details O..
Dimensions Size W1200*D600*H750 mm Seat Height 450 mm Product D..
Dimensions Size 1 W1000*D580*H750 mm Size 2 W1200*D580*H750 mm &n..
Dimensions Size W1400*D700*H730 mm Product Details Origin Portugal Materials..
Dimensions Size W1000*D600*H840 mm Product Details Origin Portugal Materials..
Dimensions Desk W600*D315*H720 mm Large Drawer W560*D200*H110 mm; slate grey; $890 Product..
Dimensions Size 1 W1000*D500*H750 mm Size 2 W1200*D580*H750 mm ..